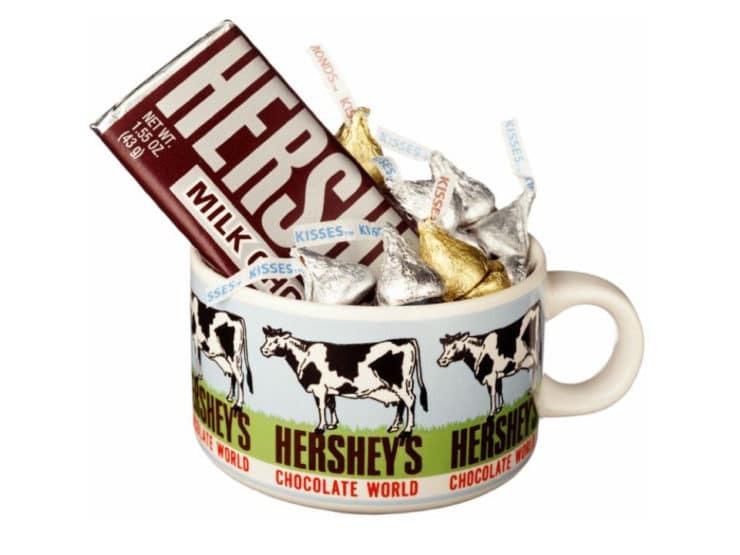 On this day in history, on February 9, 1894, the Hershey Chocolate Company was founded in Lancaster, Pennsylvania. While the Hershey brand is known worldwide for its chocolate products, the company’s creator, Milton Hershey, actually found his first success with a different kind of candy… caramels. 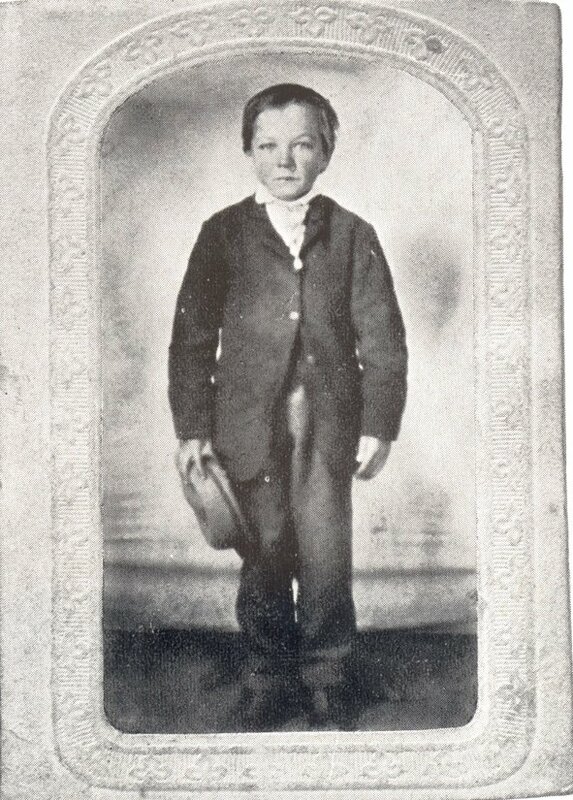 Milton Snavely Hershey as a young boy. Image courtesy of the Hershey Community Archives, Hershey, PA.
Milton S. Hershey was born on September 13, 1857 in an old stone farmhouse built by his great-grandfather near Derry Church, Pennsylvania. His parents were part of a peace-loving religious group called the Mennonites; their ancestors were Swiss immigrants who had come to Pennysylvania inspired by William Penn’s promise of religious freedom. While Milton’s father, a farmer, was somewhat flighty and unreliable, his mother Veronica “Fanny” Hershey was solid and true. She was a stable force in Milton’s life, and his main influence growing up. She taught him the value of hard work, and the Golden Rule: “do unto others as you would have them do unto you.” Milton valued this advice and followed it throughout his life. He learned to work hard for what he wanted… and more often than not, as a child, what he wanted was candy. He would save pennies he made running errands for his parents on the farm, just so he could make a special trip to the candy shop once a week. As a young boy, Milton did not do well in school. His father, pursuing one unsuccessful business scheme after another, moved his family from place to place. At thirteen, Milton had been enrolled at seven different schools, and he had trouble keeping up with his studies. His parents decided it was best that he withdraw from school and learn a trade. After a failed apprenticeship to a newspaper editor, Milton found work as a confectionery apprentice. He learned how to make all kinds of candy, from hard candies to peppermints to fudge. This job suited Milton well, and he excelled at it. After four years, Milton felt ready to go into the candy business for himself. He was only eighteen years old, but he had big dreams indeed. With his mother Fanny and his aunt Mattie to help him, Milton struck out on his own. 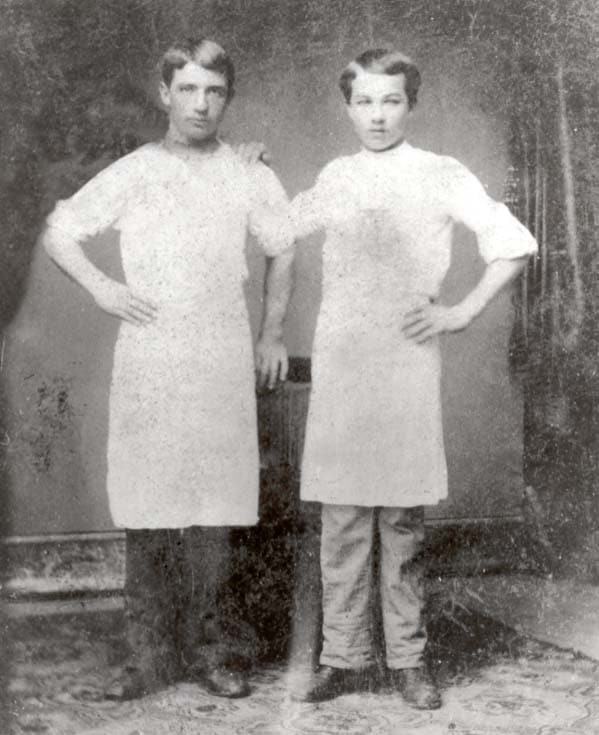 Milton Hershey as a candymaking apprentice at Royer’s Ice Cream Parlor. Image courtesy of the Hershey Community Archives, Hershey, PA.
Milton’s first years of struggling to start a business are an inspiration– he never gave up, no matter how many challenges he encountered along the way. After several failed attempts to start a candy business– first in Philadelphia, then in Colorado, then New Orleans, then New York City– Milton found himself penniless and discouraged. He moved back to Lancaster, Pennsylvania, where his extended family turned their back on him. They had given loan after loan to Milton as he tried to make his business work, and they were unhappy that he hadn’t found success. Of his family, only Milton’s mother Fanny and his aunt Mattie stuck by his side, loyal and supportive of his candy-making ambition. 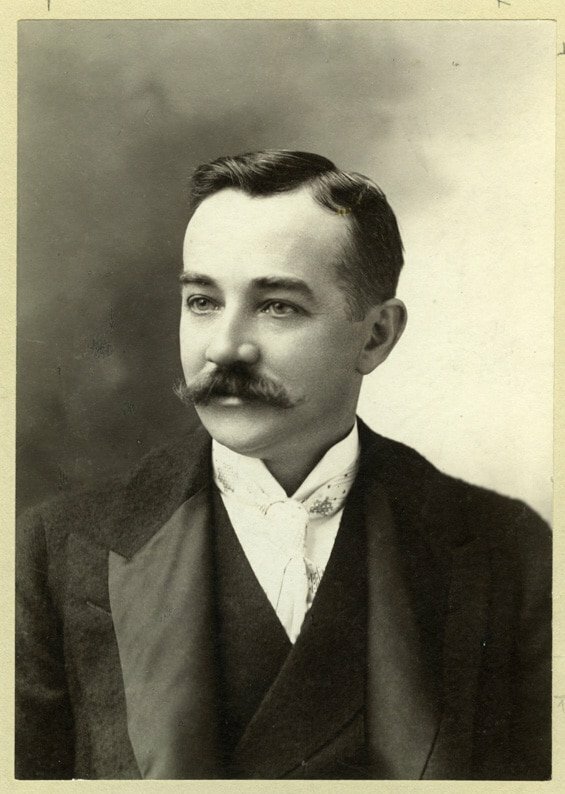 Milton Hershey as a young man. 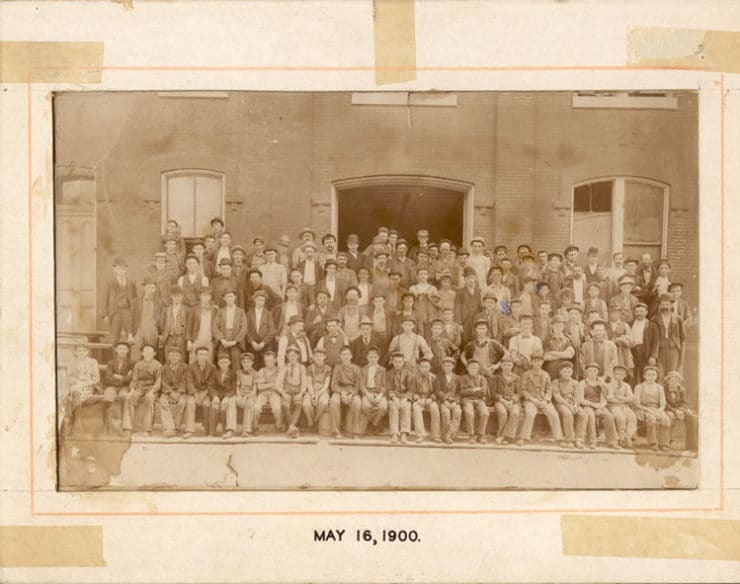 Image courtesy of the Hershey Community Archives, Hershey, PA. The Lancaster Caramel Company. Image courtesy of the Hershey Community Archives, Hershey, PA.
At 37 years old, Milton took a trip to England to see how his caramels were being sold. He discovered that the English candy company was cutting his bulk caramel into bite-sized pieces and dipping them in chocolate before selling them. Milton was intrigued by the chocolate concept, and decided to turn his attention back in the U.S. to chocolate-making. Soon, he had created three “signature” chocolate products… Hershey’s Cocoa, Hershey’s Baking Chocolate, and chocolate-dipped caramels. Milton had bet on chocolate, and the bet paid off big time. Before long, Milton was able to sell his caramel factory for $1 million dollars (the equivalent of close to $25 million dollars today!) and focus solely on chocolate products. The Hershey Chocolate Factory, 1095. Image courtesy of the Hershey Community Archives, Hershey, PA. In 1894 Milton established the Hershey Chocolate Company, which allowed him to grow and expand his business to keep up with his ever growing dreams. It was an eventful few years for Milton. In 1898 he married the love of his life, Catherine “Kitty” Sweeney. Unable to have children together, Kitty and Milton started a charitable boarding school for orphan boys near their home in Pennsylvania. The school still exists today. In 1900, Milton introduced the iconic Hershey’s milk chocolate bar. 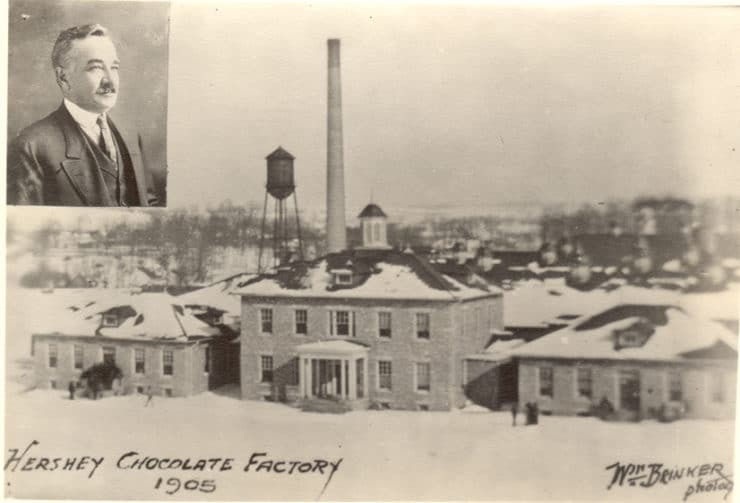 In 1903 he began construction on a chocolate-themed town surrounding his factory in Derry Township, Pennsylvania, to provide affordable housing for his hundreds of employees. The town was eventually renamed Hershey, Pennsylvania. In 1907, Hershey’s Kisses were introduced to American consumers. The Hershey brand had become a household name, an American tradition that continues to this day. Interesting Bit of Trivia: In 1912, Milton and his wife Kitty booked a $300 first class ticket aboard the newest, most extravagant ship in the British luxury White Star fleet– Titanic– on her maiden voyage from Southampton, England. They were forced to cancel their trip, and instead booked passage on the German luxury liner Amerika. A lucky coincidence indeed! 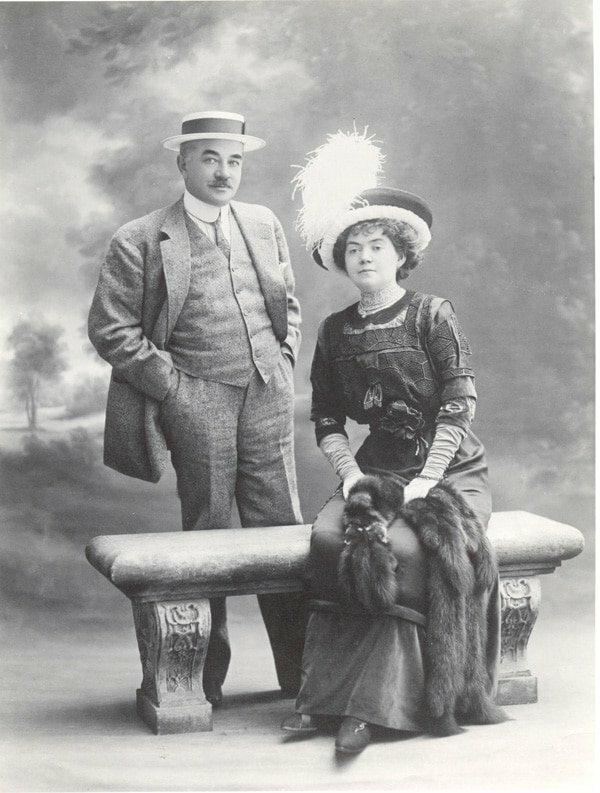 Milton and Catherine “Kitty” Hershey. Image courtesy of the Hershey Community Archives, Hershey, PA. In honor of Milton founding the Hershey Chocolate Company, I wanted to bake something special using Hershey’s chocolate. I found a recipe on the Hershey’s website and immediately fell in love. Hershey’s calls them Double Chocolate Kisses Cookies, but they’re not exactly cookies. They have a cookie-like shape and size, but the texture is soft and cake-like, similar to the sandwich part of a whoopie pie. 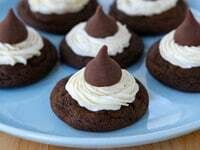 I decided to call them Hershey’s Kiss Cakelets— it seemed a more fitting name. While Milton Hershey probably never tasted this recipe, he did introduce the Hershey’s Kiss to the world. This is a great way to celebrate his legacy. Instead of the store-bought frosting the recipe calls for, I adapted the recipe by making homemade vanilla buttercream frosting. Homemade tastes so much better than the stuff from the store, and it only takes a few minutes to whip up a batch. 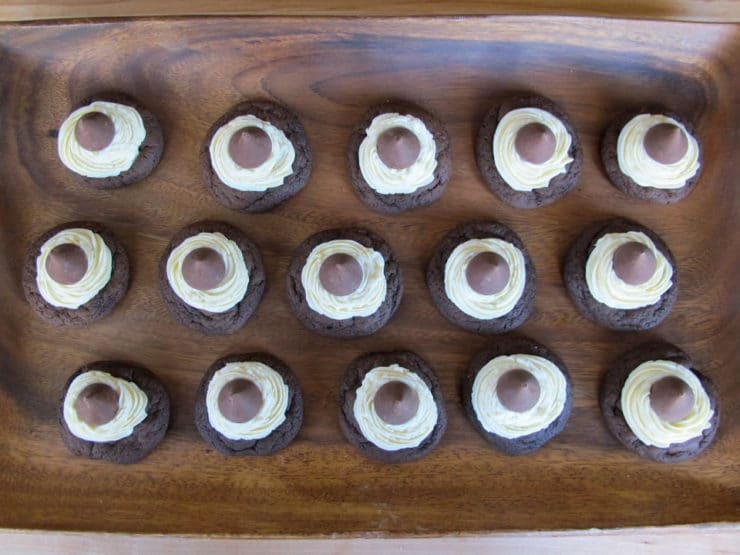 Top the frosting with a chocolate kiss, and you’re created a fitting tribute to Milton Hershey’s candy empire! The history of Hershey Chocolate Company, Milton Hershey, and a recipe for soft cake-like cookies with vanilla buttercream frosting and chocolate kisses. 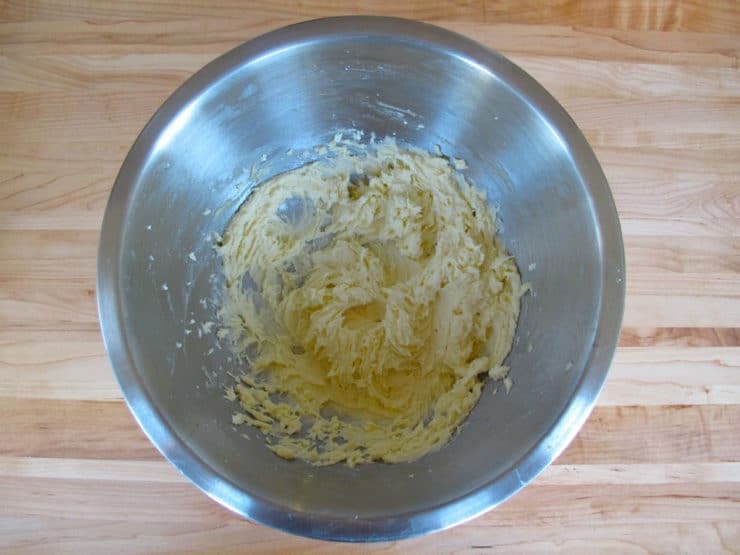 Cream together the butter and the sugar with an electric mixer, scraping the sides of the bowl with a spatula periodically, until well blended and smooth. Add the egg and the vanilla extract. Continue to beat with the electric mixer till smooth. 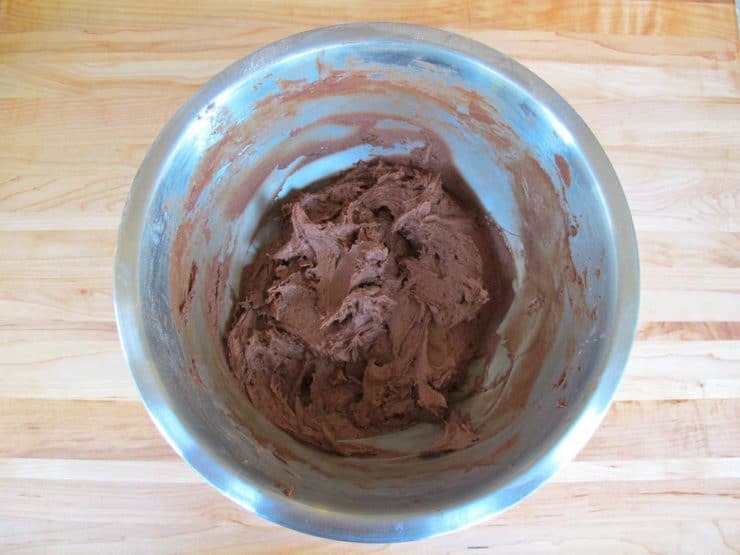 Add 1/2 cup of the flour, cocoa, baking soda, salt, and milk. Beat till a thick chocolate batter forms. Scrape the sides of the bowl. Add another 1/2 cup of the flour and beat again till it is incorporated. Scrape the bowl again, then add the remaining flour and beat again till the batter is fully mixed-- it will be quite thick. Place the batter into the refrigerator for 1 hour, till it is firm enough to handle. 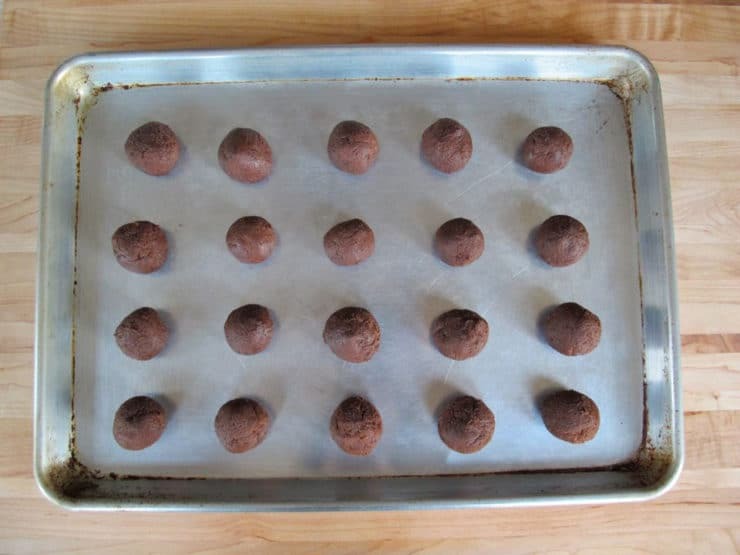 Heat oven to 375 degrees F. Shape the chocolate dough into 1-inch balls and place them on a cookie sheet, evenly spaced. You should be able to fit about 20 cookies on one standard sheet. Bake the cakelets for 8-10 minutes, or until set. Let the cakelets cool for 1 minute on the sheet, then use a spatula to loosen them and place them on a wire rack. Let them cool completely. You can serve the cakelets as-is (they're really tasty! 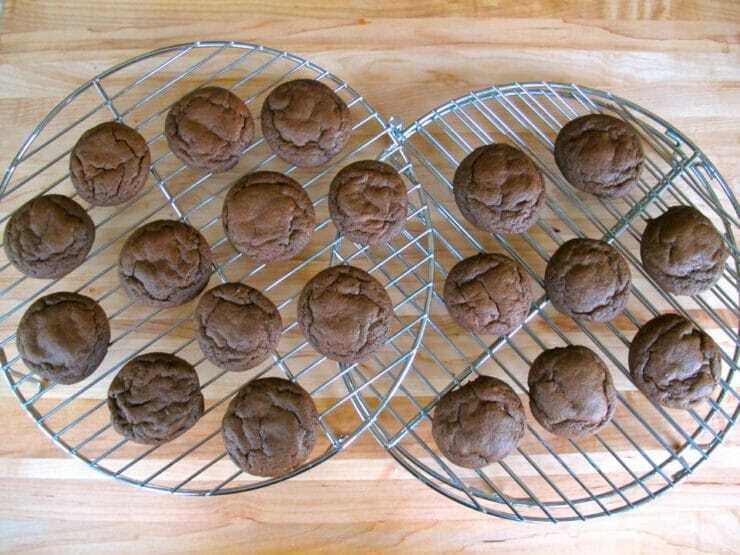 ), or frost them and top them with Hershey kisses for extra decadence. They'll be super rich and sweet with the frosting and the kiss... in fact, they might be too rich for some folks. They're meant to be eaten one at a time. You've been warned! To decorate, pipe or spread about 1/2 tbsp of frosting onto each cakelet, leaving about 1/2 inch around outer edge unfrosted. 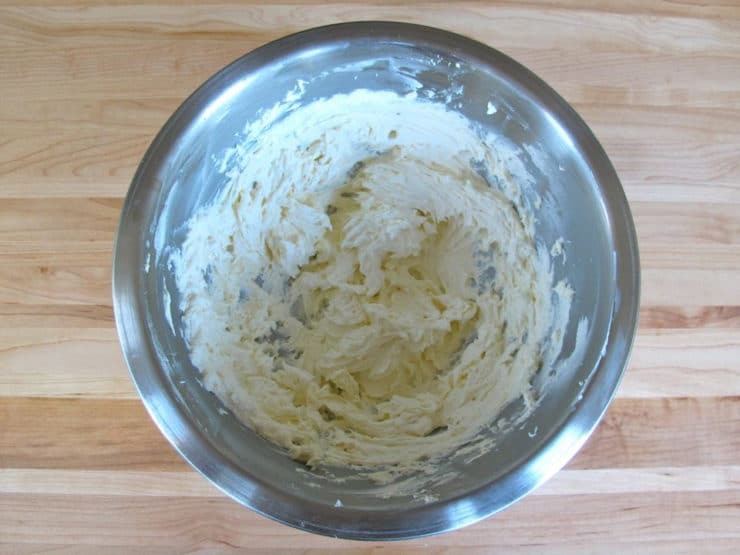 You can use store-bought frosting or homemade; my buttercream frosting recipe appears below. I like to pipe the frosting on using a star tip. Place a chocolate kiss in the center of each cakelet. Enjoy! Note: For those who keep kosher, Hershey has a large selection of kosher candy products. Be sure to look for a kosher hechsher. Click here for a list of kosher candies offered by Hershey. Sift the powdered sugar and salt into a bowl. 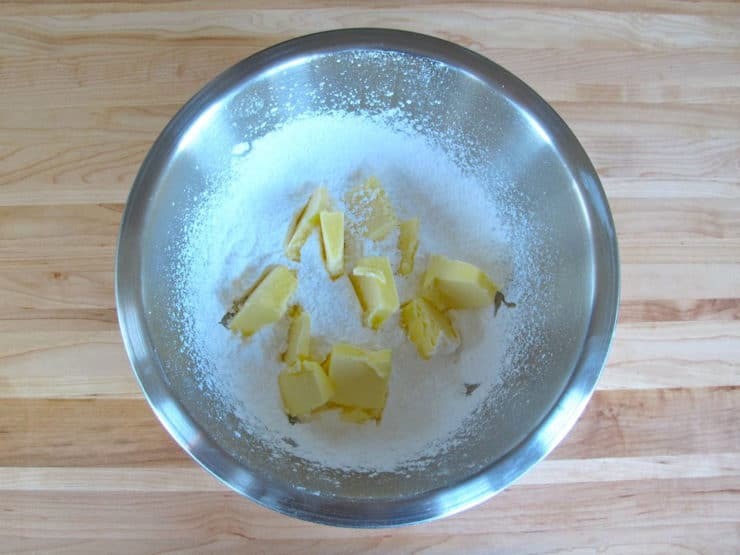 Cut the butter into cubes (make sure it's room temperature!) and add it to the sugar and salt. 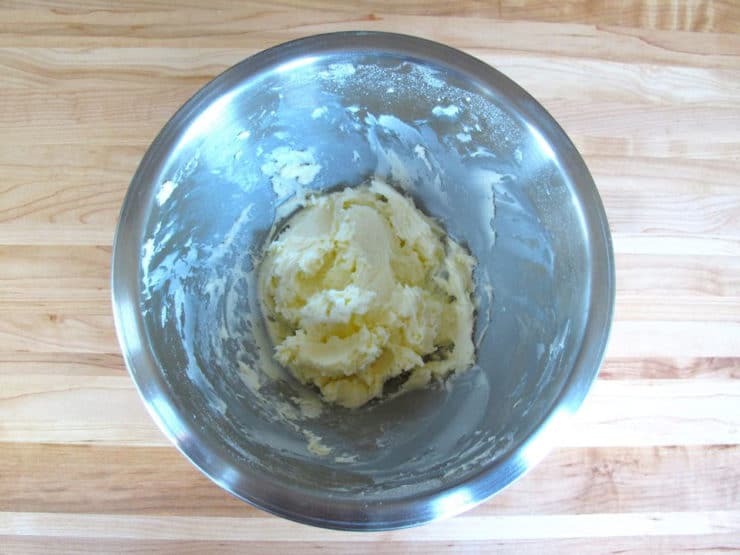 Use an electric mixer to beat the butter and sugar together for 3-4 minutes till it creams together. At first, it will look crumbly and grainy. Be patient, it will take time to come together. 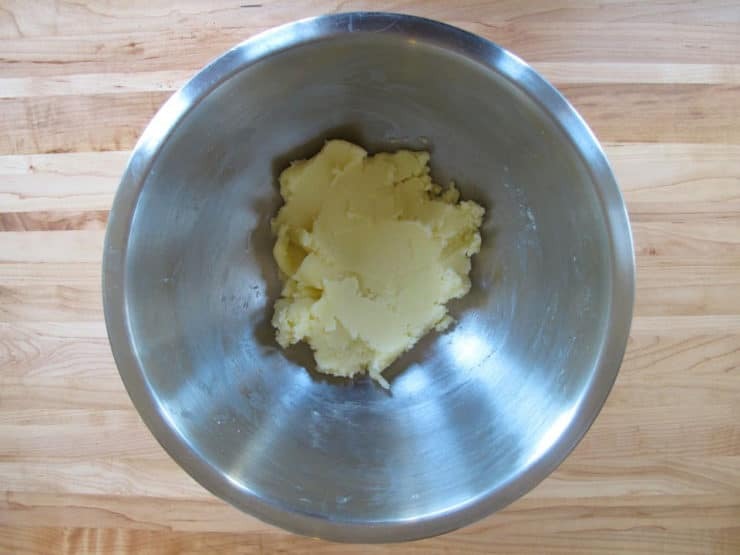 Continue mixing, using a spatula to push out any butter that gathers in the beaters, till the mixture is thick and creamy. Pour in 1 tsp of vanilla extract and mix again. Taste the frosting and add more extract to taste, if desired. 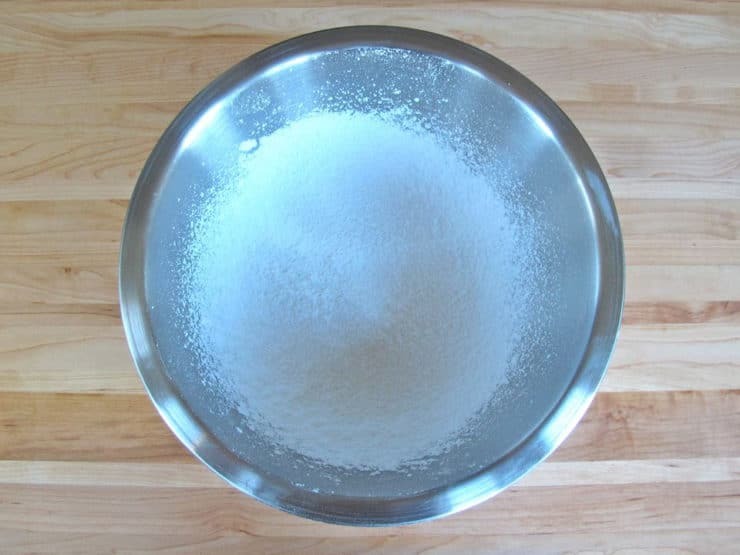 Add 1/2 tsp of water at a time, whipping constantly, till frosting reaches the thickness and texture you desire. You will likely need very little water to achieve the consistency you need. This frosting tastes best at room temperature. Frosting will keep for up to five days without refrigeration; to extend shelf like, refrigeration is recommended. 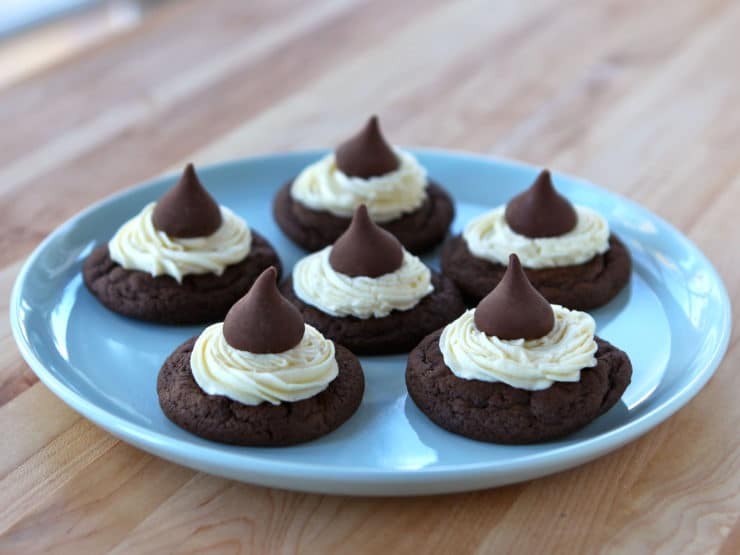 Use frosting to top Hershey's Kiss Cakelets. Burford, Betty (1994). Chocolate by Hershey. Millbrook Press, Minneapolis, USA. D’Antonio, Michael (2006). Hershey – Milton S. Hershey’s Extraordinary Life of Wealth, Empire, and Utopian Dreams. Simon and Schuster Paperbacks, NY, USA. These are excellent. Like a brownie cookie and perfectly captures the Hershey flavor. I stuck half a marshmallow on top and sprinkled with a little cocoa to be hot cocoa cookies. Love the texture and gooey-ness. I made as 1 of 4 recipes for the holidays and this turned out best. Taking them on our trip to Hersheypark! Thank you! Yummy! I have been looking forward to making this recipe on Valentine’s Day, just tasted the first one & It is Delicious. Love the Milton Hershey story, his life is a great example of the difference God makes in a persons life. The picture of your amazing cookies loured me into this post… then all the random Hershey info kept me reading… First Class Titanic tickets were $300… good thing that fell through! This is such a cool post about Hershey! And I love these little cakelets! Though, I would probably eat too many of them! Good mixture of history and recipe! Gosh, these look fabulous!!! My family would love to find these in our kitchen…totally yummy! And fun history of the Hersheys. Interesting read. I like that you cite your sources. thanks for the great history lesson and recipe. 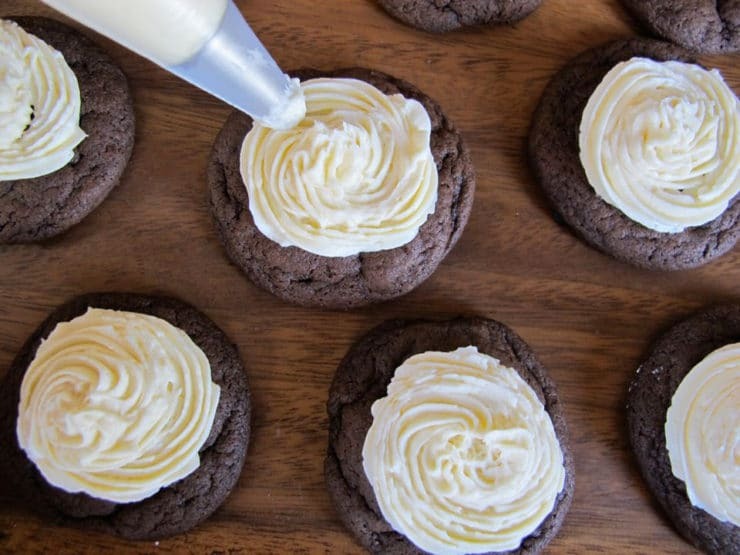 Any idea if the frosting is “just the right” amount or leaves extra? Have another baking project in mind. Also, what do you recommend for the pastry bag? Thanks! I love Hershey’s chocolate. I know it’s not the fanciest stuff out there, but it’s what I grew up on, and it’s sweet and delicious. I actually used to live right by Hershey. Unfortunately, I never did get to check out Hershey Park. These cakelets look adorable and delicious. I like them much better than those boring cookies w/ the kiss baked in the center. I grew up not too far from Hershey when the amusement park was just a small park created to subsidize the boys’ school. We would stop there on our way from Reading to York. My uncle went to the Milton Hershey school after his father died. I always think of that when I hear about Milton Hershey – and the park, and the chocolate tours, and the smell when you drive through Hershey. interesting post… especially the part about the Titanic… wow. I love the flavour combos especially – fantastic recipe! Thanks for posting. I enjoyed being reminded of the familiar story of a truly great man…and that makes me feel a little more justified in downing some of his chocolate. This background information is an interesting read-funny that the whole chocolate concept was because of a trip to England about caramels! Also, the Titanic tickets was a close one.. This is a great recipe you tied into this post also. Perfect for Valentine’s and perfect for the chocoholic in all of us. Your pictures really do the recipe justice. I enjoyed this post!